The Encián was built on the banks of Skalnaté pleso mountain lake from 1936 to 1937 according to the design of the architect Dušan Samuel Jurkovič. 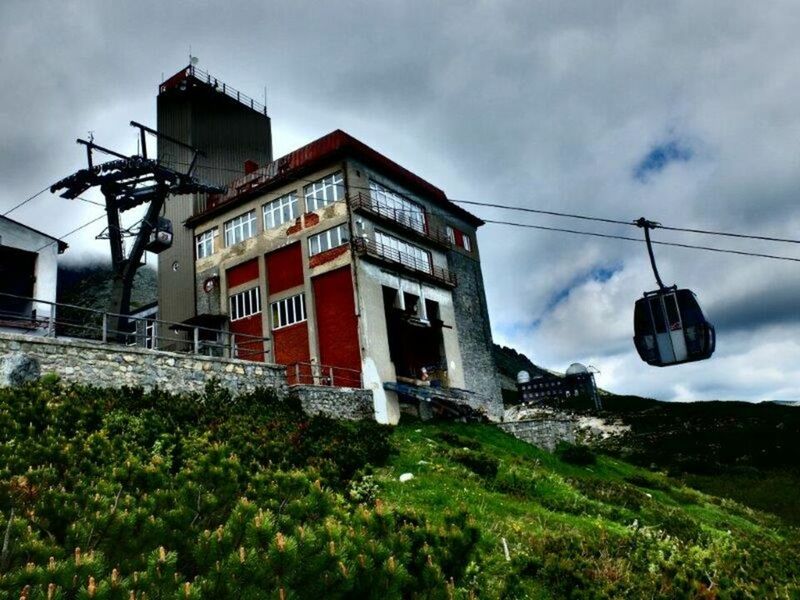 Formerly, the upper station of the suspended cable railway from Tatranská Lomnica, it later also started to serve as a valley station for the cable railway to the peak Lomnický štít. Apart from its technological background, this building also had a restaurant and an accommodation part. When in the 70´s a new cable railway was built from Tatranská Lomnica to Skalnaté pleso with a separate building, the Encián did not benefit by it. In 1999, the operation of the suspended cable railway from Tatranská Lomnica was terminated, and in 2011 the last columns were dismounted. The operation of the cable railway was finally over.